A Single-User License allows access to an individual user. A Site-Wide License allows access to an organization's employees within a single site/location (e.g. New York City office). An Enterprise-Wide License allows access to all employees and sites within an organization. Technology forges a world where human connection is no longer inhibited by distance. Barriers are broken and replaced with virtual bridges that create unprecedented potential for an interconnected present and future. And no doubt the areas most affected by this technological nexus are ones dominated by human synergy. An area at the center of this change is the pharmaceutical industry, characterized by technological and medical advancement, but faithfully guided by the necessity to improve the human condition. Clinical trials are at the forefront of pharmaceutical progress and clinical monitoring plays a key role in collecting high-quality trial data. As technology allows risk-based monitoring to become more frequently implemented, changes to the traditional monitoring set-up will occur. This report explores the reverberations of RBM implementation on trial operations as experienced by site personnel. High-level perspectives regarding the clinical trial experience through the eyes of the site staff. These findings can be used to understand what drives trial staff as well as what trial-related difficulties they encounter that may be assuaged with implementation of new methodologies. How sites view the role of the CRA, their typical working relationship with CRAs, and the issues they encounter in their CRA interactions. How a risk-based approach to monitoring can affect daily operations at clinical sites. 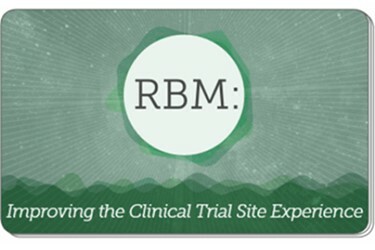 Site personnel’s baseline level of knowledge and reactions to RBM to help sponsors/CROs plan useful conversations with trial staff regarding RBM implementation. Best practices for RBM use as relayed by site staff, including best practices for communication and training. Advice to sites and sponsors/CROs that are implementing a risk-based approach to monitoring. Learn more by downloading the free preview file, or by purchasing the full report below.